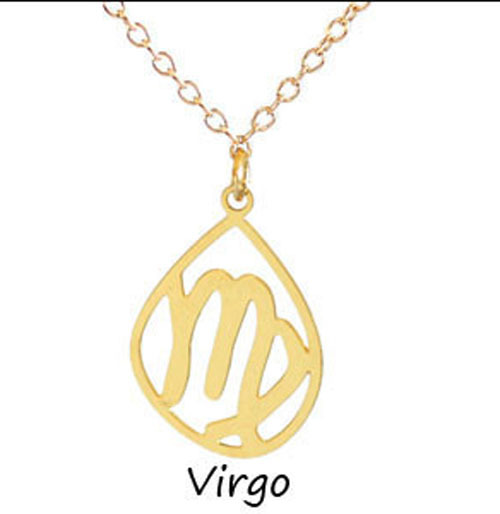 Our Zodiac necklaces are the perfect personalized gift. 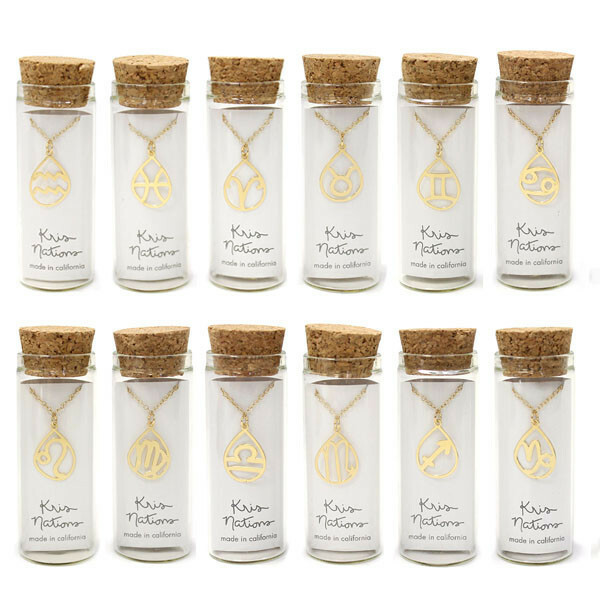 Each of the 12 zodiac symbols sit in a 1/2 inch teardrop. The pendants are cut from recycled metal sheets of brass. Available in sterling silver of 14k gold overlay. 18" chain necklace. 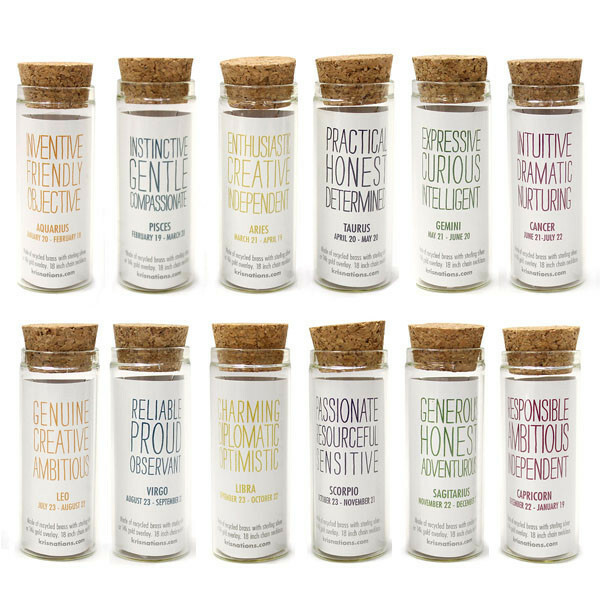 Ships in our gift ready packaging with traits of each sign printed on back.